Immaculate, furnished 2nd floor one bedroom property in excellent location just off Easter Road with its' abundance of shops, restaurants and pubs. There is a secure entry with a well kept communal stairwell. 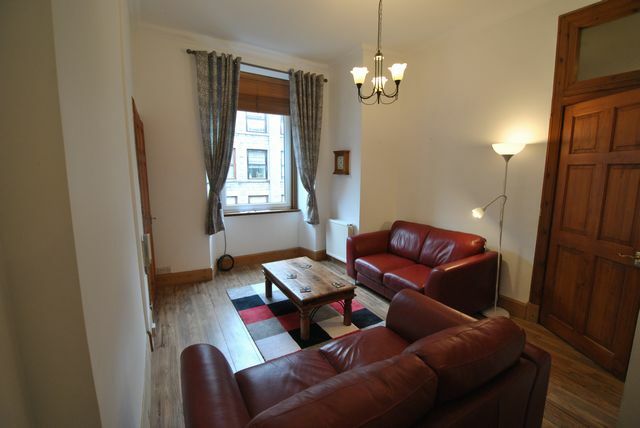 The property has a large double bedroom with good storage and double glazing. The shower room is beautifully tiled with white 2piece suite mains connected shower. The living room is a great size with a lovely bright outlook and dining area. The kitchen is modern with all new appliances . The property benefits throughout from Double glazing and has been freshly renovated throughout. Awaiting Landlord Registration 441423/230/19311. EPC RATING: C. GCH. Communal Gardens.